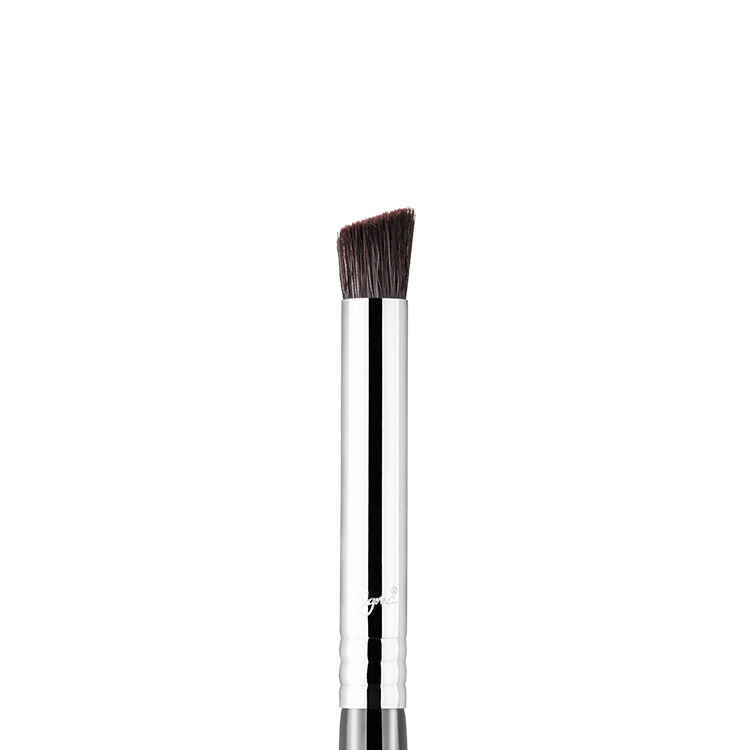 The F84 Angled Kabuki™ features an angled brush head with very soft and dense fibers. 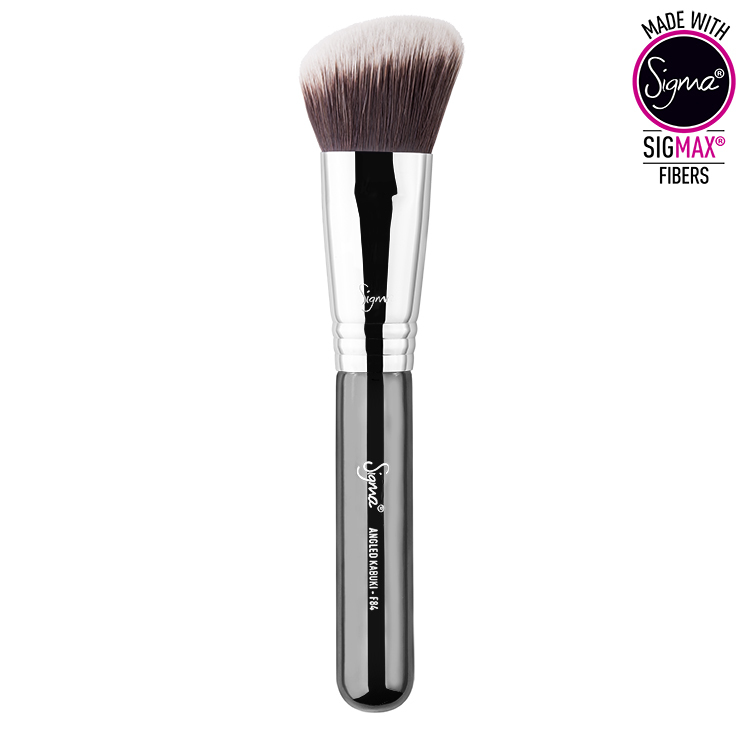 Made with exclusive Sigmax® fibers, this brush provides a flawless, high definition finish when used with cream blush or bronzer on cheekbones without any absorption of product. Love this brush!!! Bronzer has never been so easy or looked better. Very happy!! 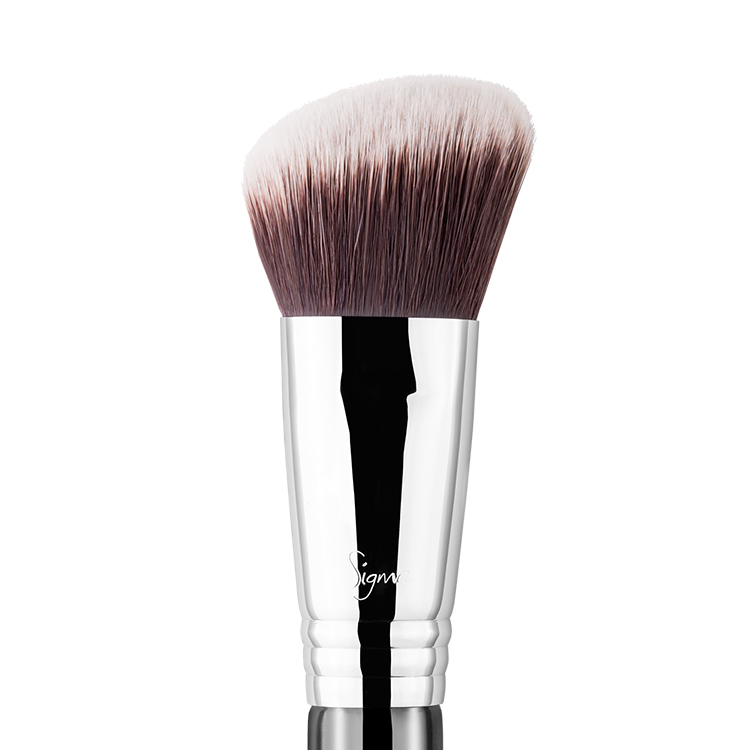 I love love love this brush for applying cream blushes! Ive always disliked using my fingers & this is the perfect solution to that. 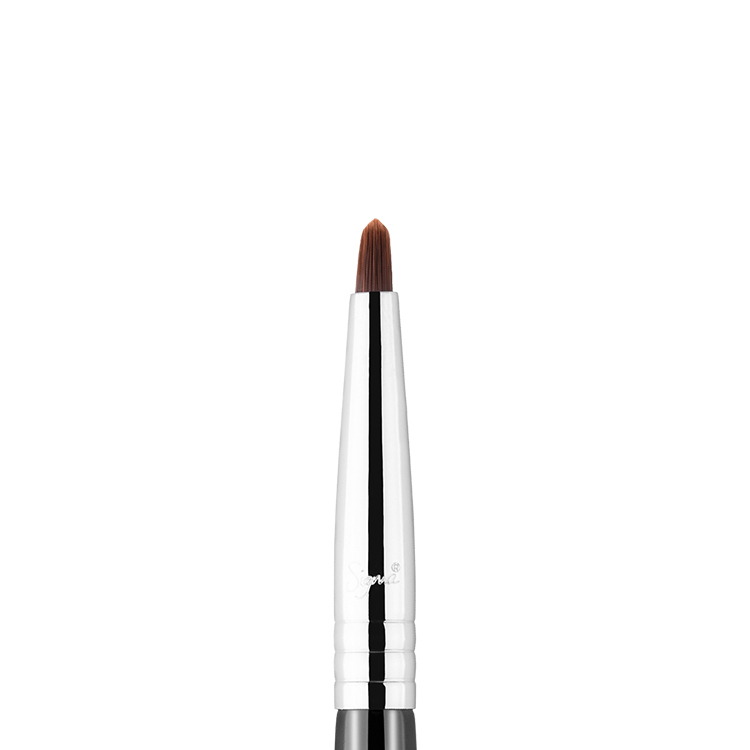 The angle means that it can blend out colour perfectly & naturally. Highly recommend it for cream blush application. My absolute favourite foundation brush! Would recommend! Awesome brush. 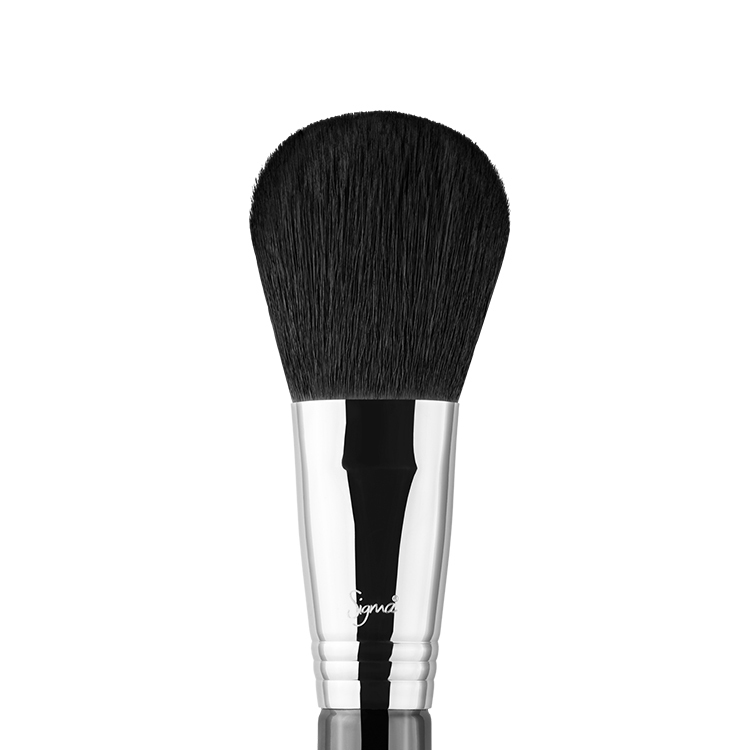 Only just started collecting makeup brushes and this would have to be one of my favorites. It’s so soft against my skin and applies beautifully. 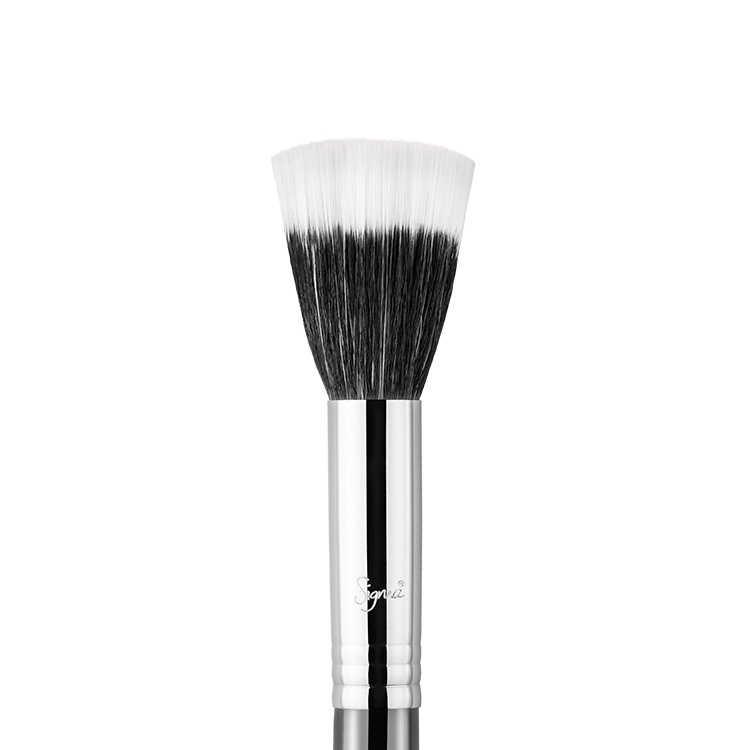 This is now my new favourite brush for contouring! 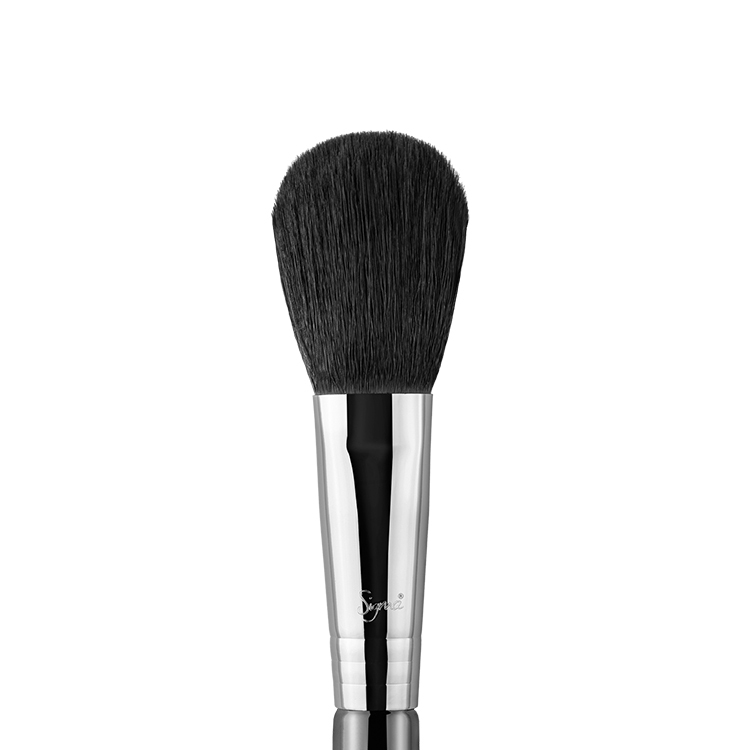 Blends beautifully on the face – is great if you want a natural look but can also be easily used to build for a stronger contouring look! 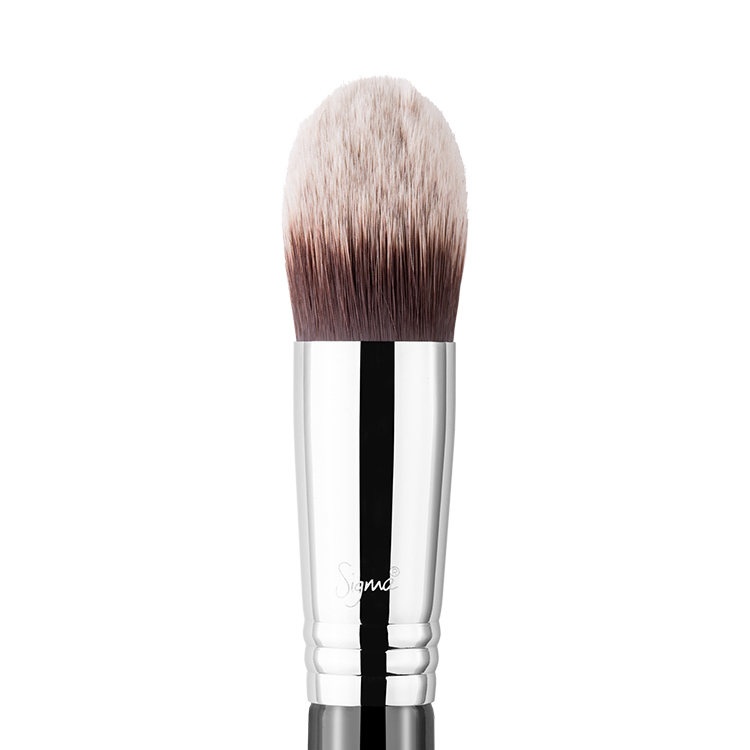 This angled kabuki brush is perfect for precise contouring with cream/liquid based bronzers and for use of cream blushes! 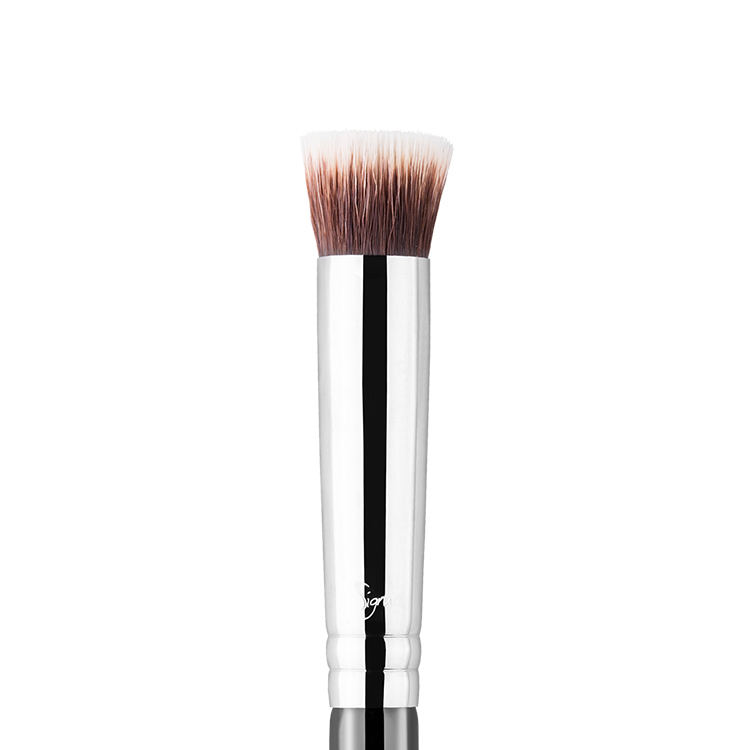 Liquid/Cream/Powder bronzers and blush are easily blended onto cheek bones and around the perimeter of face without leaving any streaks. 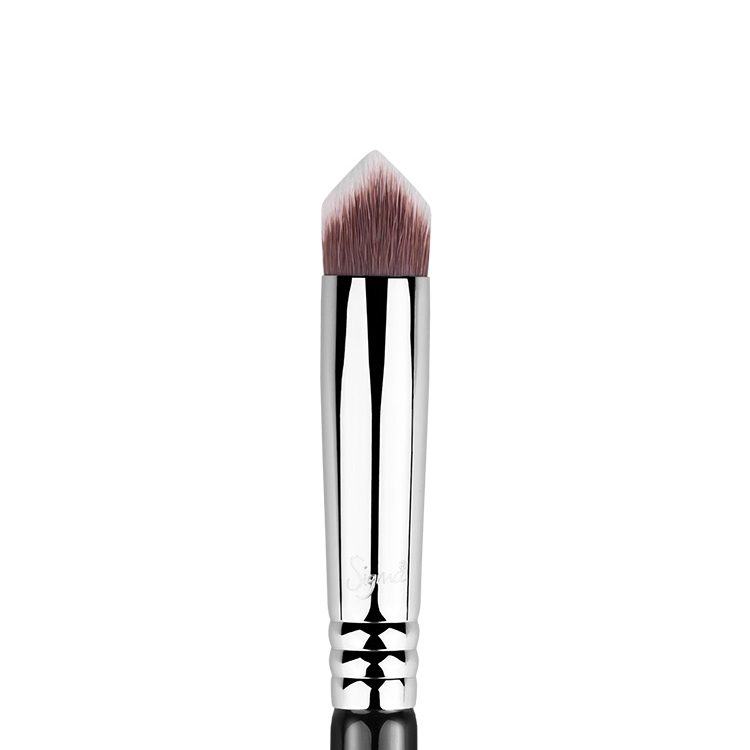 The bristles are made of high-quality materials and this brush will not disappoint you at all. I discovered this brush after watching makeup tutorials. 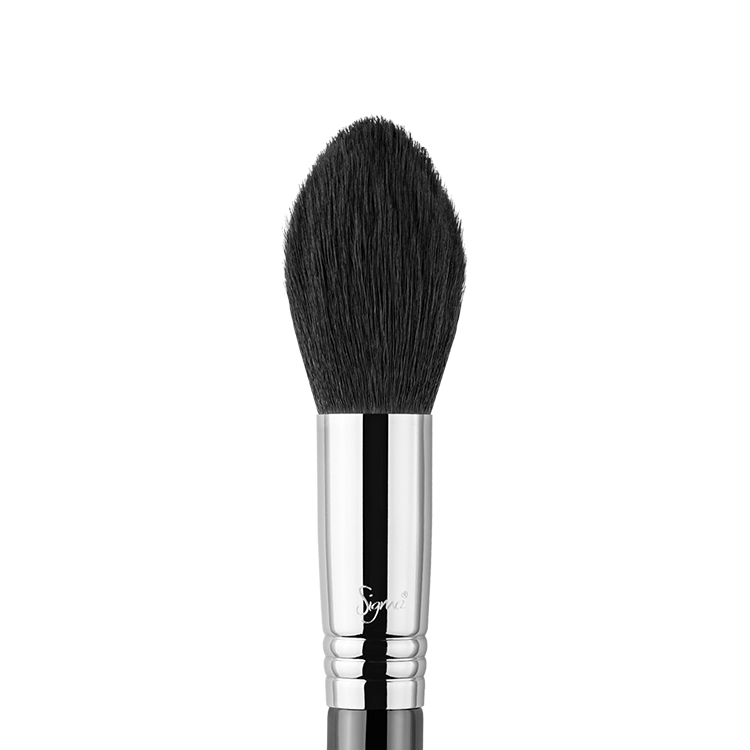 I love using this brush lightly dampened. This way, I am able to achieve a flawless look without using a lot of product. The angled head makes it super easy to get into all the hard-to reach places on your face. Specially around your nose. 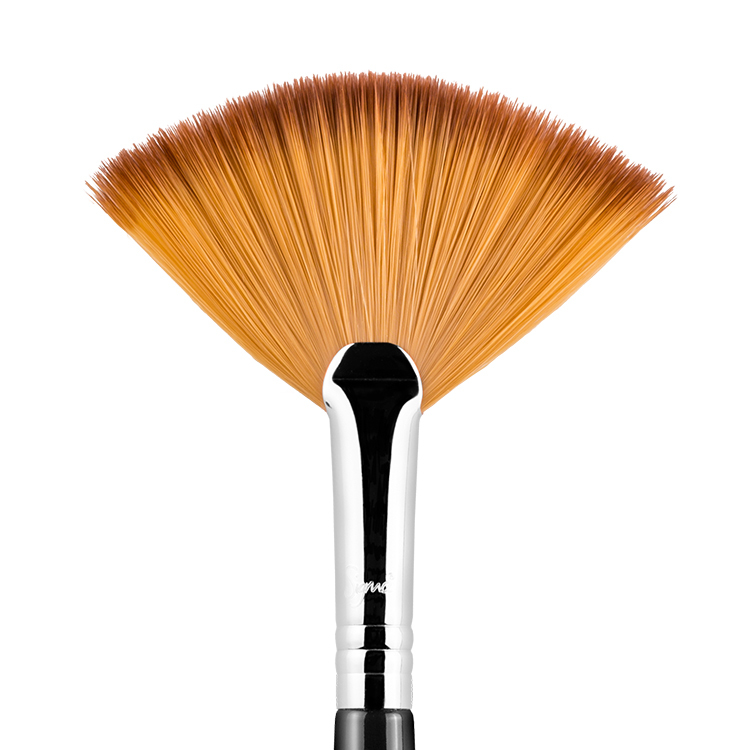 And best of all, this brush does a fabulous job of buffing all the products, without leaving streaks!! !